It's January and my favorite month because that means I can Start a new calendar and Planner! Yes I know there are all sorts of apps and nifty online calendars but I a classic pen and paper write EVERYTHING down type of person! I have tried all sorts of different planners and I often switch things up from year to year since our needs are always changing. Last year, I decided to go the digital route, but I found that I was less organized than usual with our daily schedules and planning. I would go into the calendar to input dates, but it wasn't my cup of tea when it came time to do my weekly planning and look at my Day at a Glance. What can I say, I simply like to write things down, carry my planner, and be able to open it up and jot goals and notes and meal plans all on one happy and colorful place. This year while hunting down a new/better planner to use, I discovered Sarah Pinto and immediately fell in love! "I am a busy mother of two young boys, the owner of a large dog and married to an active husband. We are a family on-the-go and it is essential for me to stay organized. 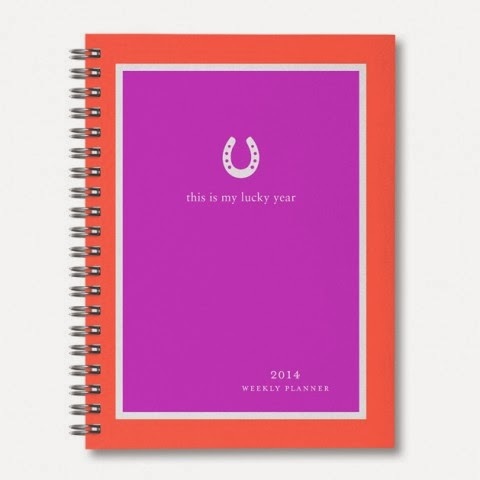 I spent a long time looking for a simple, stylish planner that I could throw in my purse. I couldn’t find one, so I decided to design it myself. The result is a simple weekly planner to help you stay organized in a fun, effortless way. I think that they’re a perfect companion for any iPhone or Blackberry users that are visually-minded and on the go (like me)." First off isn't this just so cute, I like my planners to be not only functional but pretty and this planner has it all! With my schedule, Mom, Kids School, Blogging, appointments, etc, it is essential for me to write down everything that i have going on. Also I'm rather picky about my planners I like to have a full page of the month so I can just glance and see what I have going on, but I also like the weeks broken down so I have room to write on specific days if I need too and this planner is perfect! I would be lost with out my planner, it is attached to me, I am always writing things in it and honestly if I were to lose it our lives would be a chaotic mess! Here are a few of my quick tips for staying organized with a Planner! 2.Use It for Everything: don't hassle with more than 1 binder/planner to keep up with, like a meal planner, or special school one, if you invest in the right planner with the weeks/days broken down there is plenty of room to write all of that down, and you are more likely to religiously fill out/update 1 planner rather than 10! 4. If in doubt Pencil it in: If you aren't a 100% sure about something write it in pencil, when it's confirmed then go over it in pen, this saves you from having marked/scribbled out places on your planner which bugs me so much! 5. Use it to Set Goals: Once a week, usually sundays, I open up to my weekly section of the calendar and set myself goals for the next week, like I just started a 30 day squat challenge (talk about pain) so I wrote down how many I was suppose to do each day, it helps me keep accountable and I get to check it off once my 90 for the day is done! Also I write down what I would like to get done in the house that day, Clean out kids closets, make beds mop floors etc if I have a list that i can Cross off I'm much more motivated to do them! 6. Keep it On You: Carry that planner EVERYWHERE with you, keep it in your purse so you always have access to it! 7. Get a Planner that works for you: If it won't work for you, you won't use it, so invest in a planner that you'll actually use! 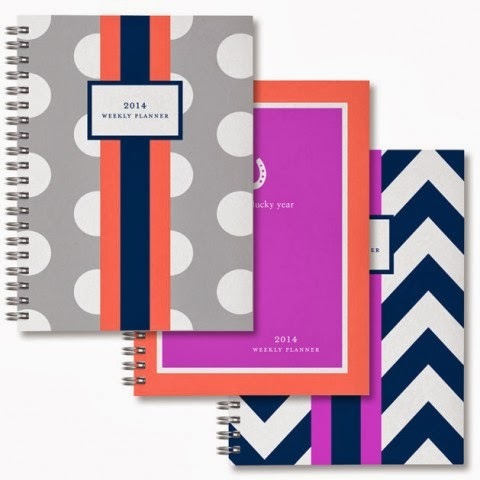 For me the Sarah Pinto Planners are the best, cute and stylish and so useful! Overall I Love My New Planner and I know it will help my organize my Chaotic life! Be Sure to Check out WWW.SARAHPINTO.COM for a great selection of planners and much more! What are your go to tips to keep your life organized?